Holder for the Z-Pro (L) Series system (100mm wide). Recommended for lenses up to 96mm in diameter with focal lengths from 20mm (full frame). 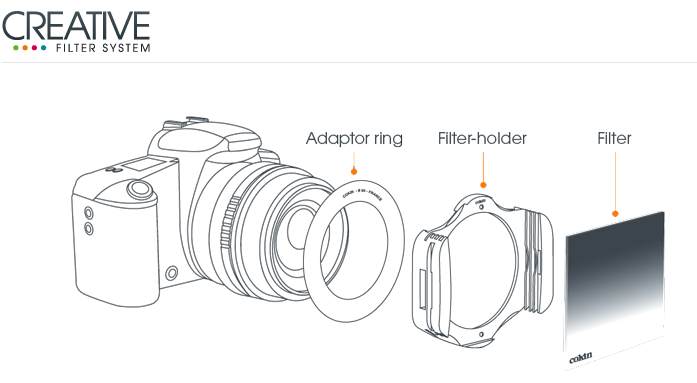 The filter holder is also modular to allow you to reduce the profile, therefore reducing the chance of vignetting with wide-angle lenses. Cokin filters fit into the holder and are attached to a lens via an adapter ring. Up to 3 filters can be stacked in the holder. This holder is compatible with Cokin Z Pro Series filters only.